Friendship Day is a day dedicated to celebrate friendship. We know that friends and friendship are cherished by the civilized world from time immemorial. As humans are fundamentally social beings, we love to make friends to promote the practice of socialization. During 1920s friendship day was encouraged by Greeting Card National Association but it encountered resistance from the consumers as they were aware that it was a commercial tactic to encourage the sale of greeting cards. In 1930 the founder of Hallmark cards Joyce Hall promoted Friendship day which was planned to be on the 2nd of August as it was in the mid of largest calm between celebration of holidays, where people would send greeting cards to their friends to strength their bond of friendship. In 1935 congress United States announced First Sunday of August as Friendship Day and since then it became a yearly event. After the success and popularity in U.S.A, many other countries embraced the custom to dedicate a day for friends. 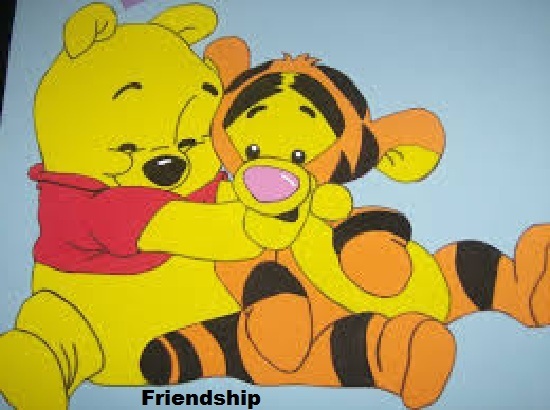 During 1997, United Nations entitled Winnie the Pooh as global Ambassador of Friendship. During the 65th session of U.N, the General Assembly acknowledge 30 July as International Friendship Day. 1) Friendship bracelet, bands, rings, and stamp etc. : are given to friends so that the friendship bond can be strengthened further. It also shows that how much a person admires the friends in his/her life. Good gesture to let your pal know you care. 2) Thoughts, notes and messages: As this is a day which is dedicated to friends so express your friendship to them, but is does not mean that your gestures have to be intricate or convoluted you may dedicated a video, or a song, or tweet what makes them your pal, jot the memories on pieces to paper and put them in a jar so that your pal can pull a paper each week and relive those memories. 3) Gifts: a small considerate present will make a bigger impact than an expensive and thoughtless gift. A picture frame having a picture of you both or a memory periodical that speak about the favored moments you have created together. Impromptu videos you have made together may be on certain outdoor trips, funny voice-overs you both have given on specific occasion etc. 4) Meet your friend and spend time together: In today’s world where all are busy, we usually tend to find short cuts like wish our friends on social network but nothing is better than spending some quality together-time. It may vary from person to person as to how they want to spend their together-time. Meet over the coffee shop, may go to a cherished restaurant, or just meet at the point where you both often meet. If both want to have thrill then you may try bungee jumping, sky diving, gliding, scuba diving etc. in presence of safety professionals keeping safety measure in view. 5) Have the friendship day spirit throughout the year: Go all out for friends. Make each day friendship day. Make sure to nurture your friendship, bestow time towards each other. It is said that “he who find a true friend has found a great treasure”.